Students are matched with PenPals throughout the world. 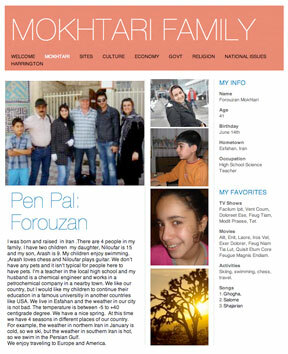 Students are taught a range of multimedia and modern communication skills that allow them to build websites that show what they have learned about their PenPals and their countries. Student Access to an In-Class Wiki & Blog. You need Flash Video Player to view films, (click here).